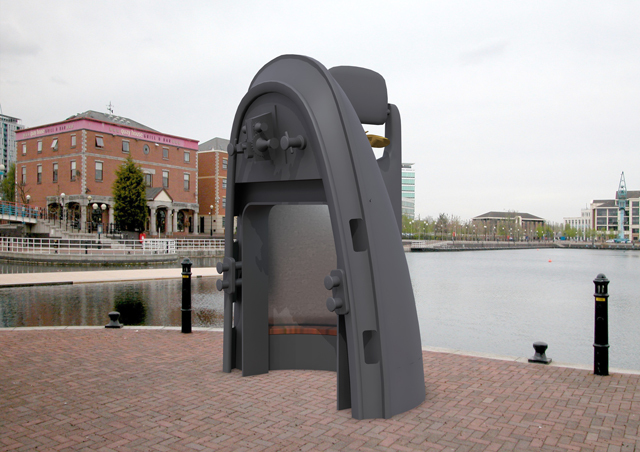 I have just submitted these ideas for a commission at Salford Quays. The first proposal is Compass Clock. It selects a destination around the world, latitude, longitude and then gives you the distance in nautical miles, journey time and types of cargos. It also has seating, lights and sound. Materials; stainless steel, copper and mosaic. The second proposal is Tug. 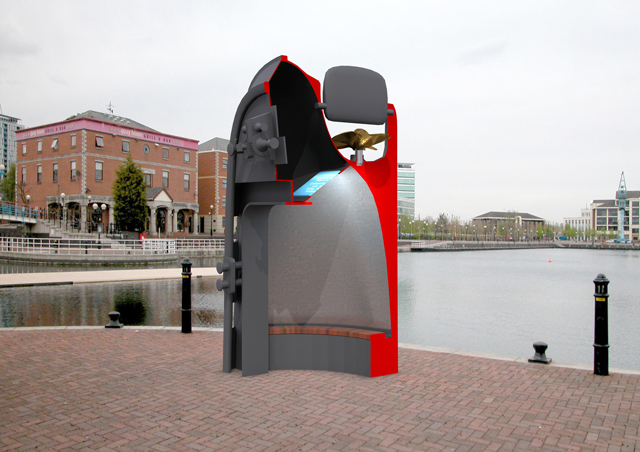 This is a 5m high, half scale end section of a tug. Galvanised mild steel hull. Inside there are timber seats and a ceiling screen with projections of all the different boats shipping that used salford docks.